It's buyout time in the NBA - that magical time when washed up veterans suddenly become the missing pieces for teams making a title push. It's a time of hype and speculation - and something to make the post-trade deadline dog days of the NBA interesting. Sometimes buyouts can have a big impact - Joe Johnson joining the Heat in 2016 is a recent example. But most often they don't amount to too much - if the guys were valuable then they wouldn't be available. It's good time to look at the buyout market for this year. Moves have started to be made already and will continue until early March. Before we look at the players on the market, though, let's make sure we understand how buyouts work. Teams buy out players who are often, but not necessarily, nearing the end of their contracts. To buy them out they negotiate with the agent of the player over what portion of the remaining contract will be paid - sometimes all of it, but more often a portion of it. Once the buyout has happened then players go on waivers for 48 hours and then are free agents to sign wherever they want. Why would teams buy out players? There are a few good reasons. Buying out a contract can clear salary cap space to add another player to the roster - perhaps another buyout or a free agent. Teams can also look to get rid of the contract because of cap or luxury tax concerns. Often players who are bought out were throw-ins to make trade deadline deals work, and the team that acquired them never intended to have them on their team. Or perhaps a veteran just doesn't factor into a team's plans anymore, and they would rather have the playing time or roster space to evaluate youngsters to see what their needs are. And finally, though teams would never admit this, sometimes they buy out veterans because they are tanking and the competence of the veterans just gets in the way. So far this year the biggest name to change addresses is Joe Johnson, who was traded from the Jazz to the Kings and then bought out to join the Rockets. He already has played well once as a buyout, and the Rockets have major ambitions so this is an interesting move. And Marco Belinelli, a very useful scorer off the bench, has joined the Sixers after being bought out by the aggressively tanking Hawks. Greg Monroe also left the tanking Suns to join the Celtics, who could use some veteran support for their stretch drive. And Brandan Wright, who was bought out by the Grizzlies - another team aggressively tanking - is joining Johnson in Houston. All of those guys are capable of making an impact, but none are a lock to do so. I like the Belinelli move best, but it's not like the Sixers have suddenly become championship favorites or anything. Tyreke Evans: Evans was sat out for several games by the Grizzlies before the trade deadline so that he didn't get hurt before he was traded, but they couldn't deal him. He is the leading scorer for Memphis, but they are a mess this year. If Memphis wants to really embrace tanking - and they might as well - then buying Evans out of the remaining months on his contract would be a good move. He would be in serious demand, as he is averaging nearly 20 points per game. Channing Frye: The Lakers grabbed Frye from the Cavs at the deadline, but he obviously doesn't factor into their long-term goals. Frye's best days are behind him, but he is a strong teammate and could help a younger team in the locker room heading into the playoffs. If the Lakers decide to buy him out then he'll land somewhere. Derrick Rose: Rose was a disaster in Cleveland and was traded to Utah at the deadline. He has already been bought out. He hasn't landed anywhere, though the rumors are he could reunite with Tom Thibodeau in Minnesota - which would be a terrible move for that team. Shabazz Muhammad could be a buyout candidate in Minnesota to make that addition possible. 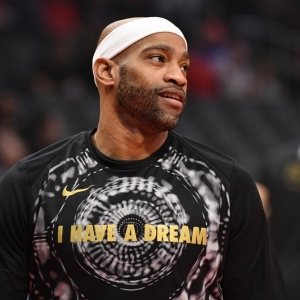 Vince Carter: The Kings reportedly want to keep the 40 year old but would buy him out if he could land with a contender. There are some rumors he could return to Toronto where he was a megastar. 20-year-old me loves that idea, and the veteran leadership could help, but Vince would have to accept a pretty limited role on the court there. AMAZING offer - Doc's is offering $60 worth of member's NBA picks for free - no obligation, no sales people. Get $60 worth of premium members' picks free. Also, for a limited time only get three top NBA handicappers for the price of one! Click Here . Get free NBA basketball picks today at Doc's Sports basketball predictions page .